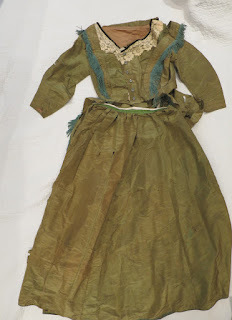 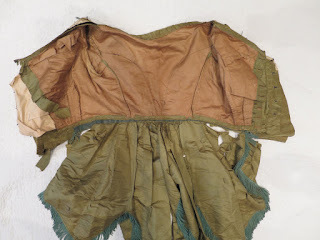 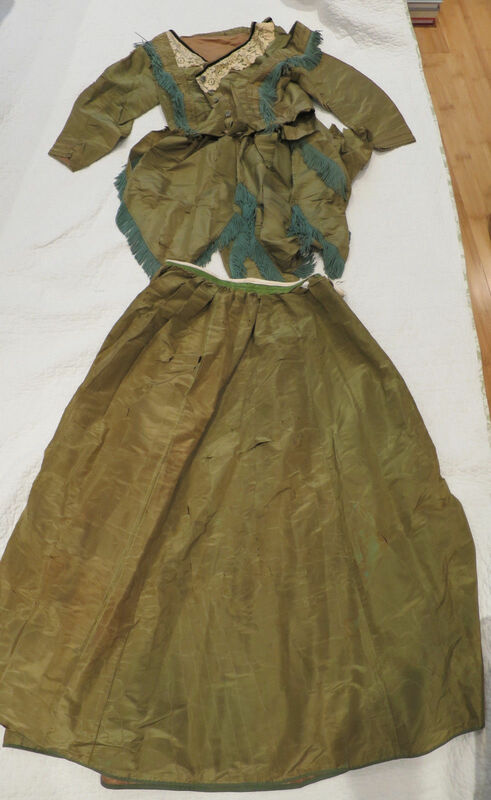 The dress was cut up from an 1840's dress based on the bodice trimming style. The trim going in a v down the front and back is very 1840's. Fringe was huge as well, as indicated in the fashion plate above. 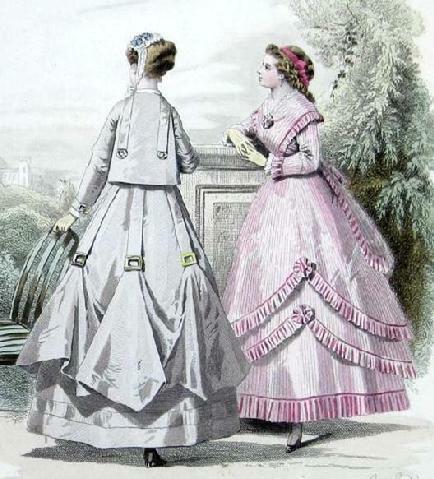 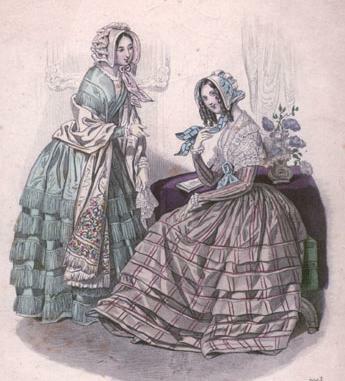 The style did come back a bit in the late 1860's, but as with all fashion, it was tweaked a bit. 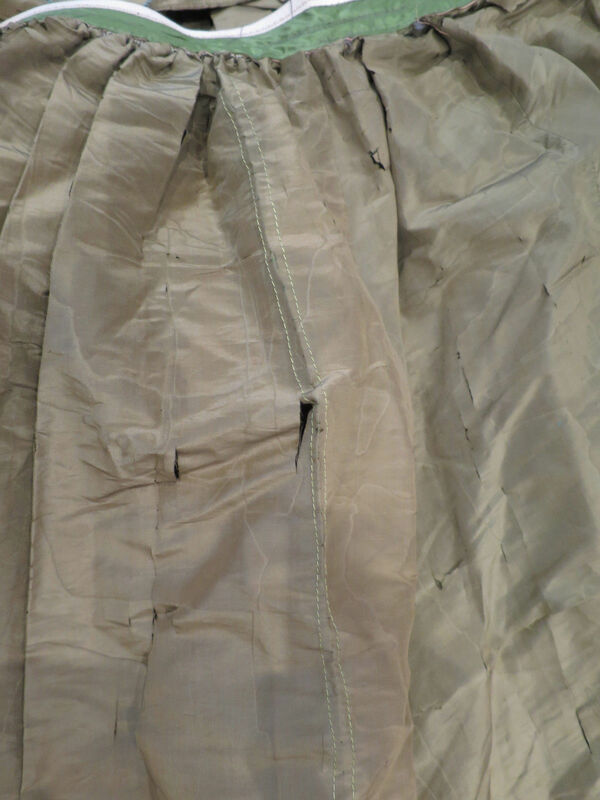 The angles and placement are slightly different. 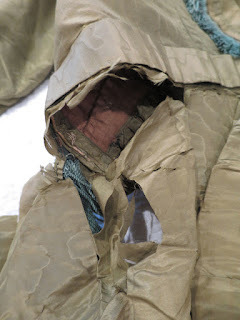 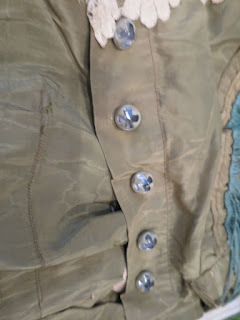 The biggest clue though, really, to this being a remodeled dress is the insides of the bodice. 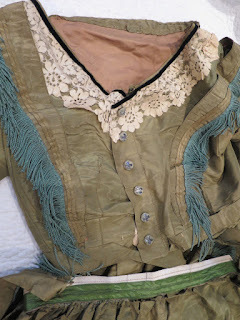 The original bodice has a button front - the new one just added on the the front (between the fringe front) that hooks. You can really see how much it was remodeled with the different colored lining. 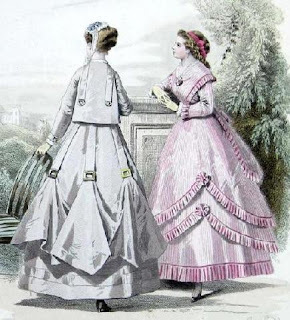 Because the front we see wasn't there originally - just the fringe- it falls far more in line with a cut up 1840's bodice like in the first fashion plate than the bodice of the pink dress in the second. 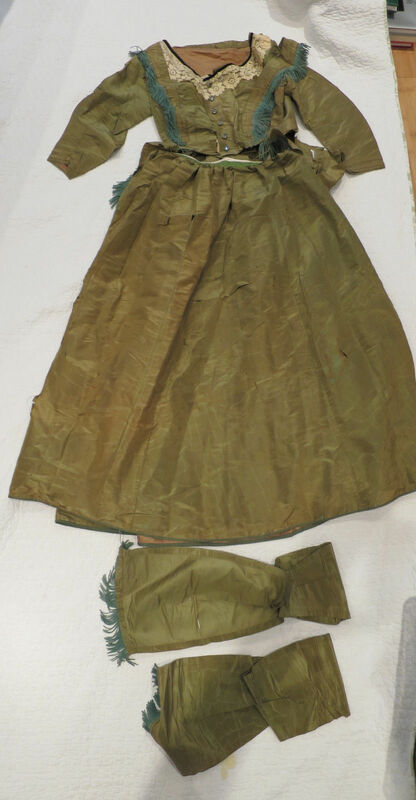 It also looks like some of the skirt might have been de-trimmed and that was used as the peplum now for the back of the bodice. 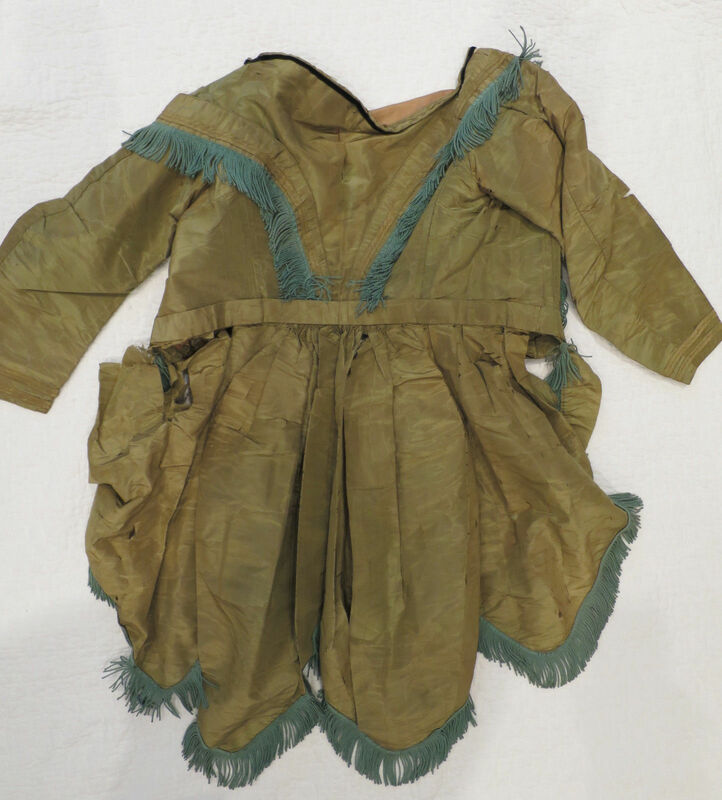 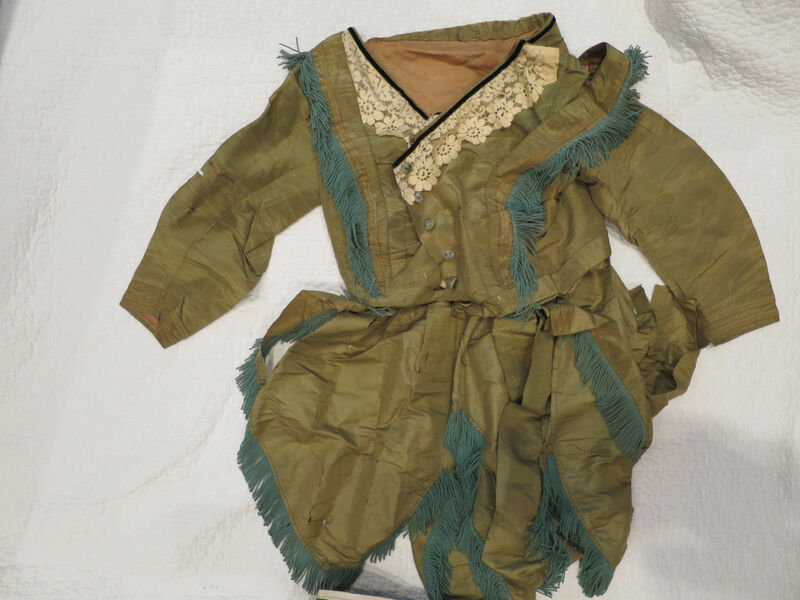 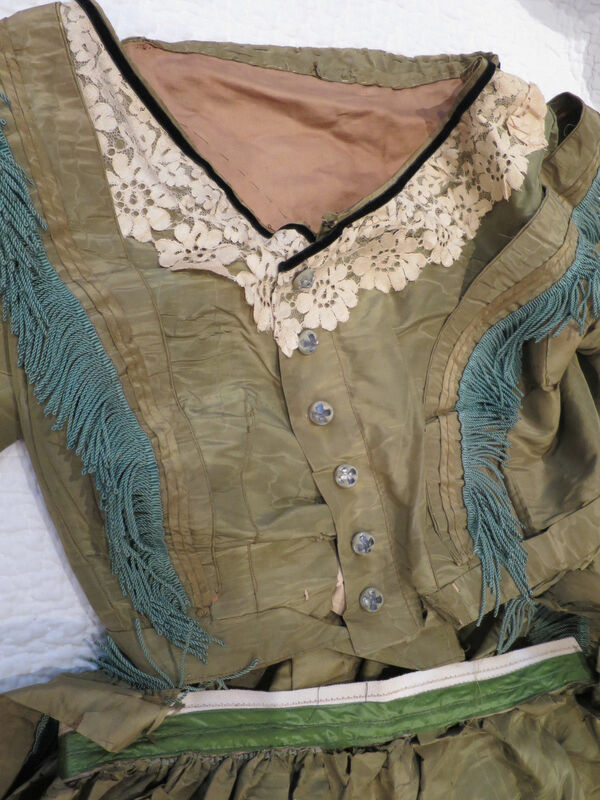 Altogether, an interesting piece of mid-19th Century fashion.